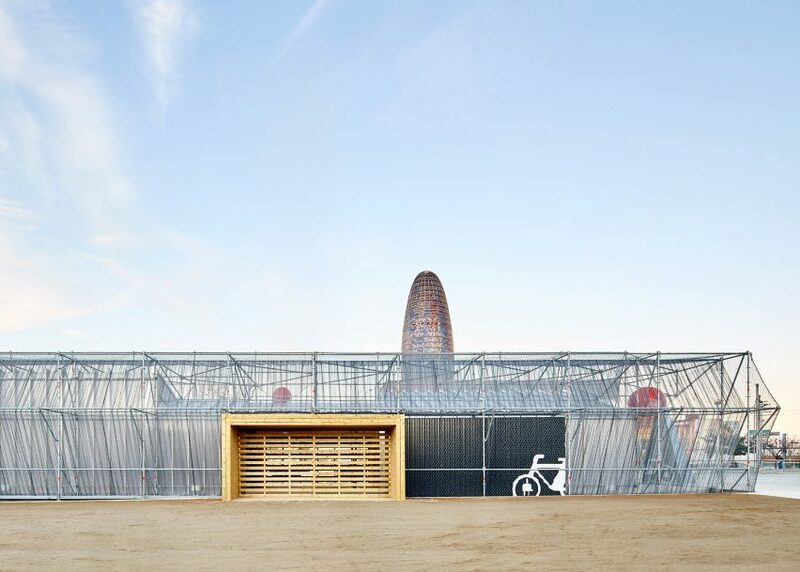 Layers of polycarbonate, netting and metal mesh wrap the scaffolding structure of this temporary visitor centre, designed by Peris + Toral Arquitectes for a public square in Barcelona (+ slideshow). 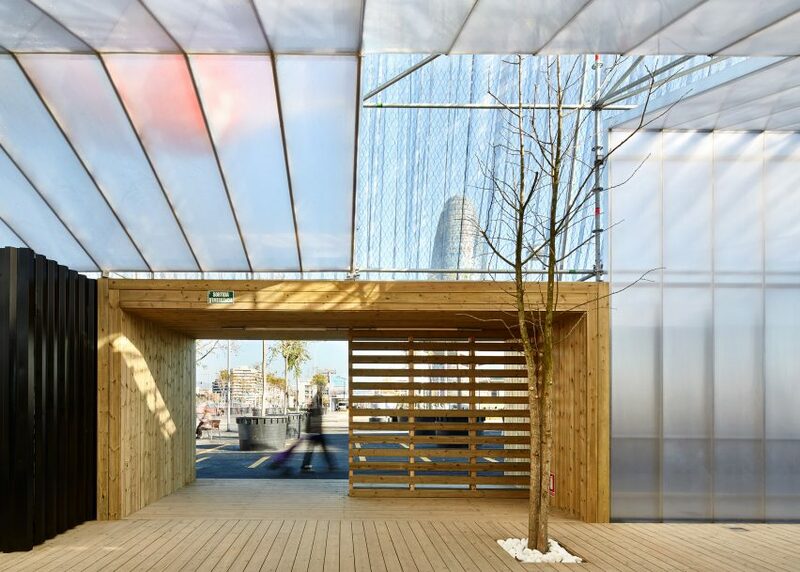 The Information Point was designed by the local studio for Glòries Square in the north of the city. The square is currently a junction for major roads and a railway, but is set to be transformed into a public space with parks, gardens and sports facilities. 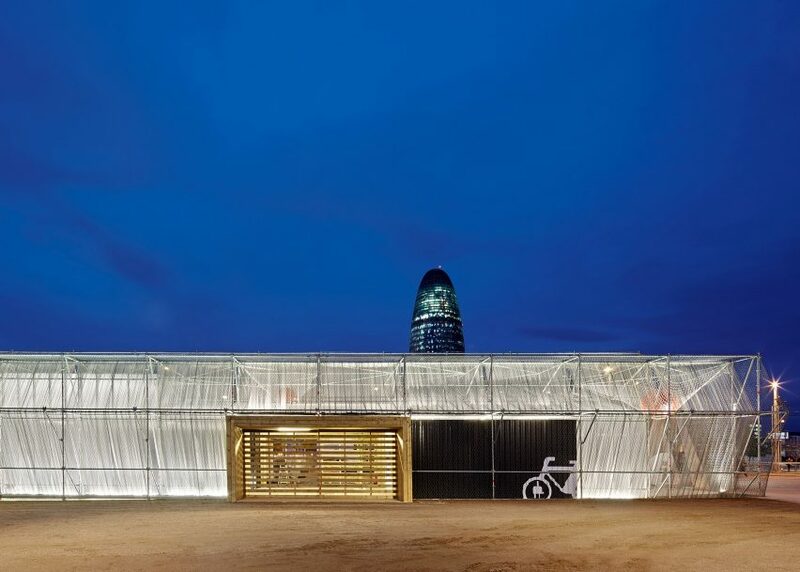 Peris + Toral Arquitectes was tasked with creating a temporary venue to host an information point, an exhibition space for the regeneration project and a rental hub for electric bicycles. The facilities are arranged in a line within a scaffolding structure, which is designed to be easily disassembled. 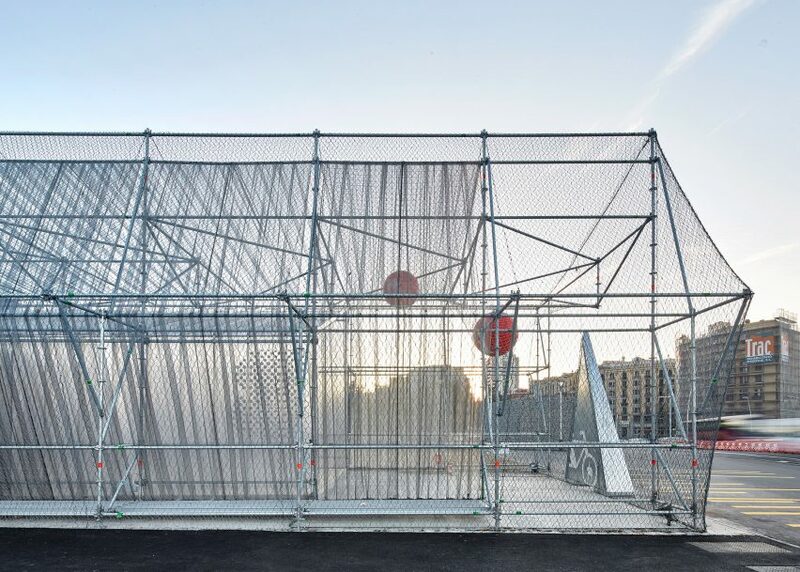 Polycarbonate panels are fitted to the scaffolding to create a tubular space within, while the exterior of the pavilion is wrapped in a layer of metal mesh and another of netting. "In its temporary condition, the construction is subtly integrated into the transformational environment of Glòries Square," said the architects. "Its linear shape, materials and its structural system highlight both their ephemeral character and the idea of permeability." 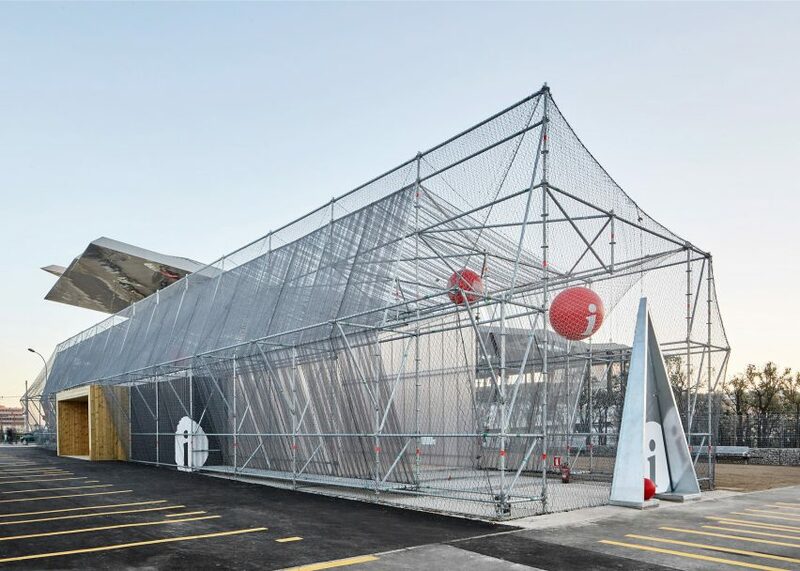 "Along these lines, scaffolding acts as a support of the three envelopes necessary to provide habitability to the construction: an impermeable and translucent polycarbonate skin, a shade mesh and a metal mesh as a protection," they added. The profile of the polycarbonate structure changes according to the different functions within. 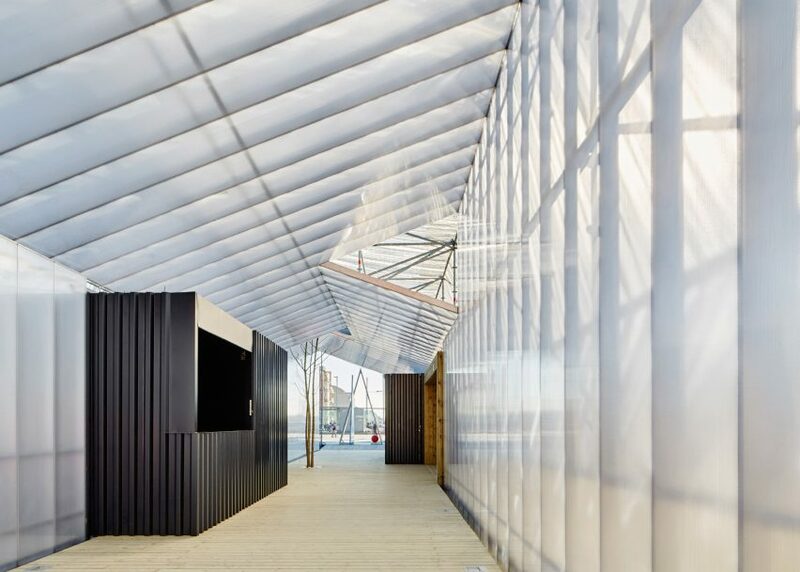 Two differently angled mono-pitched roofs cover the exhibition space and reception area, while at the centre of the pavilion is a gabled roof. 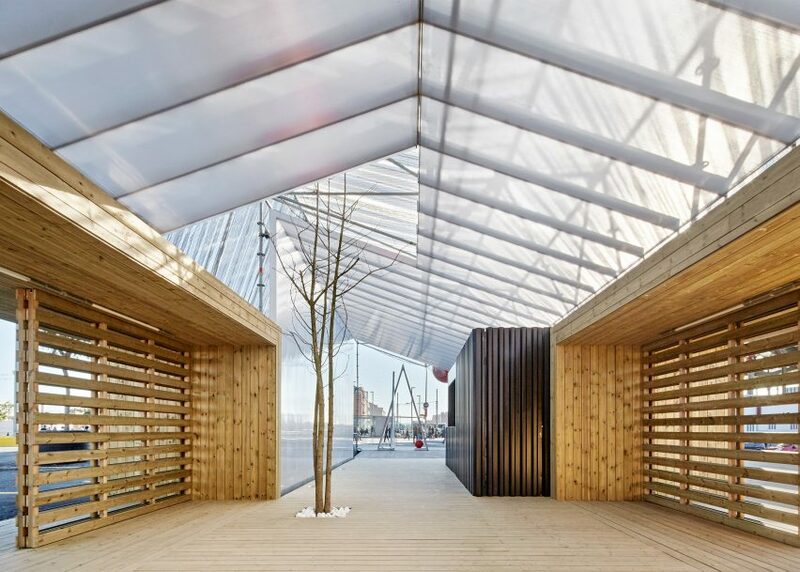 The structure has open ends to allow the public to walk straight through. Inside, two black boxes form the information desk counter and utilities, while a tree in the middle of the walkway grows up through a gap in the roof. 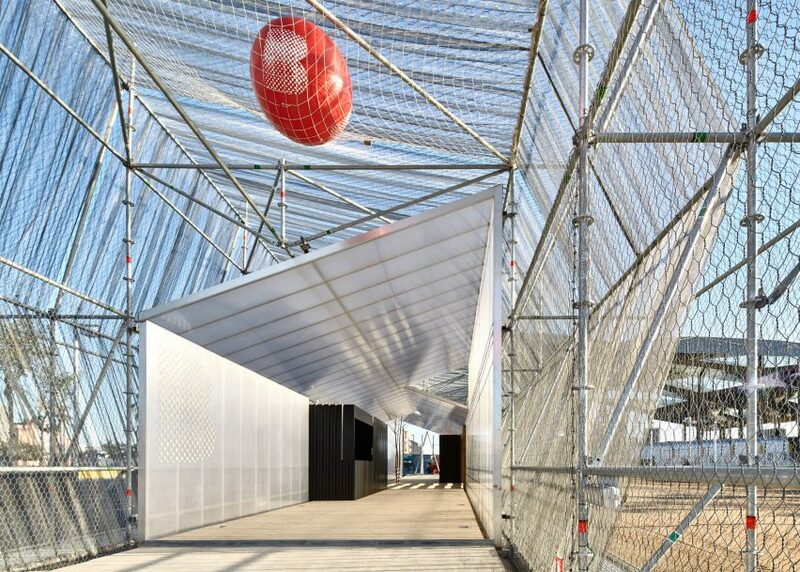 Red balloons trapped between the two layers of mesh signal the entrances to the pavilion, which is accessed through triangular metal openings. 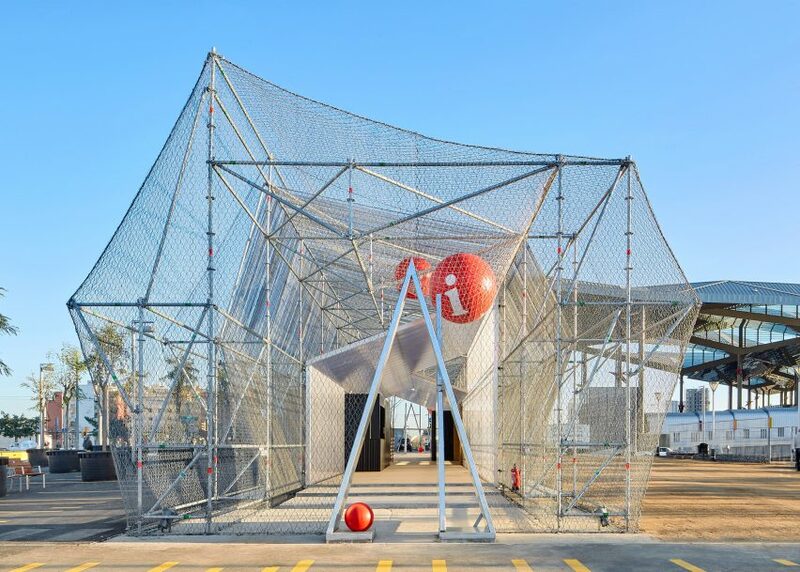 Scaffolding is becoming increasingly popular with architects and designers tasked with creating temporary public spaces. 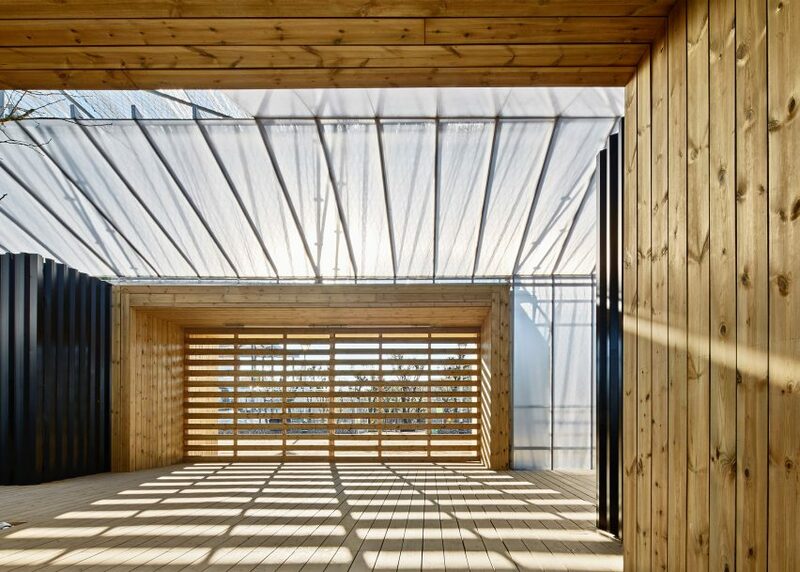 Other recent examples include an events pavilion in Latvia, Poland's Biennale pavilion and a series of origami-like pavilions in Mexico city. Photography is by José Hevia. Woodwork: Parakestil SCCL PARKESTIL S.C.C.L.